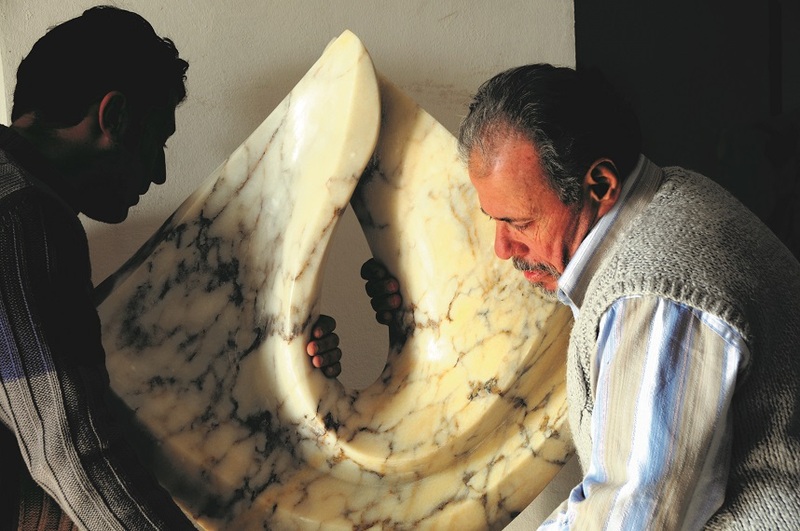 With MOWAKKET, the marble takes the shape of the fertility of Venus where perfection in feminism is at its full. The beauty takes the shape of the womb, dream, circles and affiliation. In the language of the silky marble the woman is seen as the mother, and the fountain of beauty. The marble in his works creates the balance between contrasts: the feminine and the masculine; the tenderness and the harshness; and the horizontal and the vertical.